The life of a shelter dog can be a lonely one. Waiting each day for someone to finally notice you and take you home is no doubt exhausting, and one shelter is trying to make the waiting game just a little bit easier. 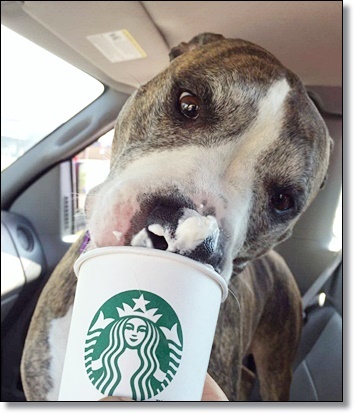 Not only does the dog get to take a break from the shelter and enjoy a car ride and a treat, the Starbucks also posts signs telling customers about the dog of the week, in hopes that they might decide to adopt him. 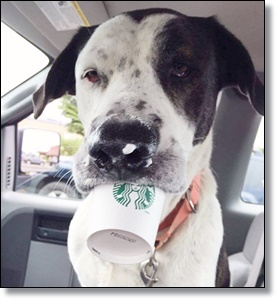 Even though the program was officially established in April, Clark has been taking dogs out for Puppuccinos to give them a break from shelter life for quite some time. 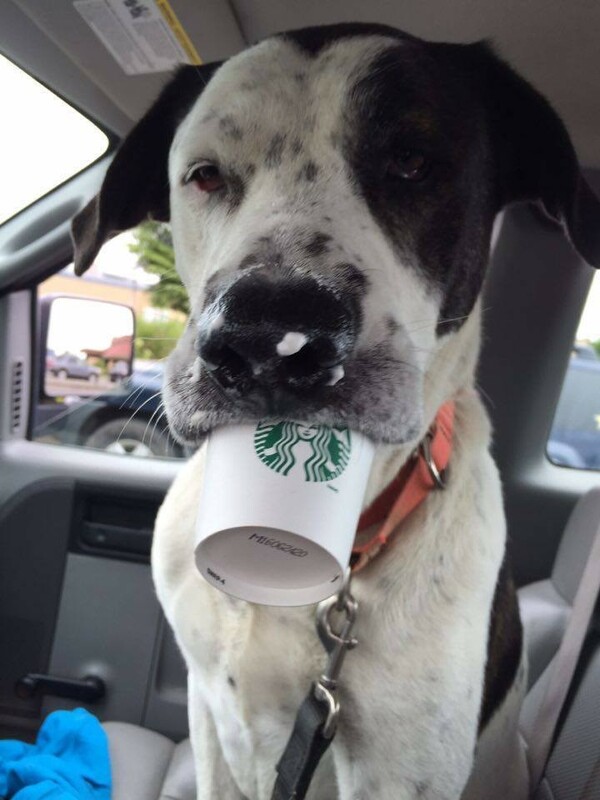 "The dogs LOVE the shelter breaks, and they adore the Puppuccinos," Kimberly Cizek Allen, events and outreach assistant coordinator at the Kitsap Humane Society, told The Dodo. "You can see it in their little eyes as they lick the whipped cream out of the cup." 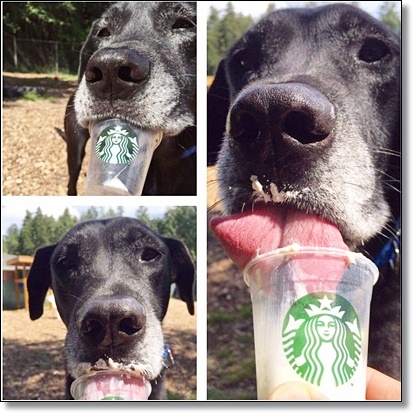 Even if a dog might not be a good fit for a Puppuccino outing, the shelter makes sure that they still get their treat — and the exposure. 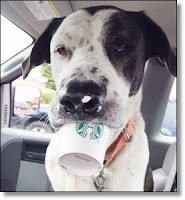 "Should a dog not be suited for an outing due to some type of limitation, Molly will take another dog on an outing, and bring a Puppuccino back," Allen said. 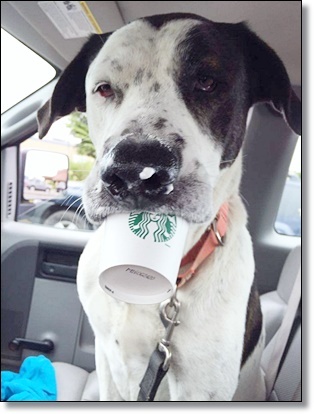 "That way the Puppuccino Pals dog can enjoy play yard time, or quiet room time, or whatever is most appropriate and still be featured in our program!" 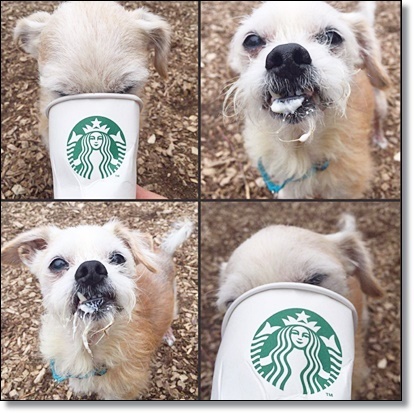 The shelter also features each Puppuccino Pal dog on its Instagram account, to give them a little extra attention. 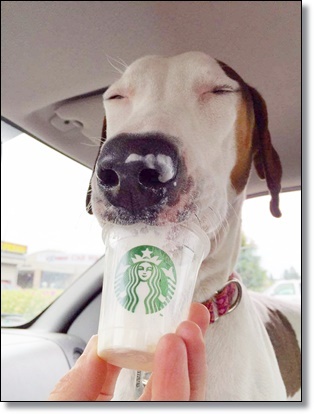 The Puppuccino Pals program is a great way to get shelter dogs out in the community, and to remind people as they grab their daily coffee that hundreds of amazing dogs are still waiting, every day, for the right home. If you'd like to adopt a dog of your own, you can check out Adopt-a-Pet.com to get started.